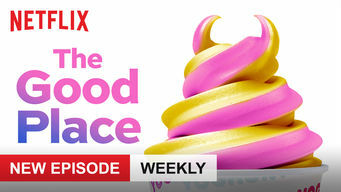 How to watch The Good Place: Season 2 (2018) on Netflix Italy! Sorry, The Good Place: Season 2 is not available on Italian Netflix, but you can unlock it right now in Italy and start watching! With a few simple steps you can change your Netflix region to a country like India and start watching Indian Netflix, which includes The Good Place: Season 2. We'll keep checking Netflix Italy for The Good Place: Season 2, and this page will be updated with any changes. The Good Place: Season 2 is not available in Italy BUT it can be unlocked and viewed! 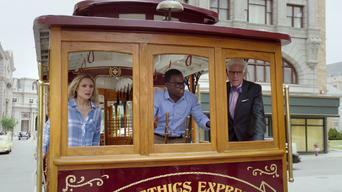 Due to an error, self-absorbed Eleanor Shellstrop arrives at the Good Place after her death. Determined to stay, she tries to become a better person. She only looked out for No. 1 in life. Now that she's dead, she's going to have to do a lot better. 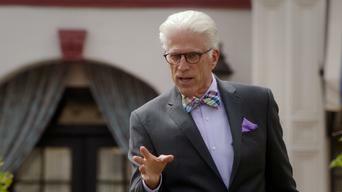 Season 1 of The Good Place has 13 episodes. Because different Netflix countries have different availability for episodes, you'll need to check the episode listing below to see which are available in Italy. When Eleanor dies and winds up in an afterlife paradise reserved for only the most ethical people, she realizes she's been mistaken for somebody else. Eleanor wants Chidi to teach her to be a good person, so he insists that she participate in a neighborhood cleanup instead of learning to fly. Eleanor thinks Tahani knows her secret. Michael tries to get Chidi interested in a new hobby. Janet goes through some strange personality changes. Eleanor becomes friends with another neighborhood resident who's hiding something. Tahani plans a gala for the opening of a new restaurant. Chidi tires of spending so much time teaching Eleanor. Tahani snoops and doesn't like what she finds. Michael quarantines the neighborhood. Eleanor distracts Michael from his search for the design flaw that's disrupting the neighborhood. Chidi horns in on Tahani and Jianyu's spa date. After learning Michael's retirement will be an eternity of torture, Eleanor decides to deactivate Janet, the only one able to send Michael away. 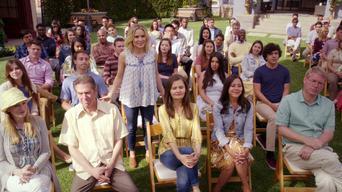 Trying to uncover the truth, Michael interrogates Eleanor about her life, and also interviews Chidi, Tahani and Jianyu. Chidi faces a moral dilemma. Michael has difficulty negotiating for Eleanor's fate. The Bad Place demons misbehave at Tahani's house. Chidi bonds with the other Eleanor. Michael is frustrated by Chidi's indecisiveness. Eleanor discovers feelings she didn't realize she had. Jianyu makes a surprising announcement. Eleanor tries to improve her score before the judge arrives. Michael makes a surprising discovery. Chidi asks Eleanor for advice about love. Eleanor flees to the Medium Place with Jason and Janet, where they meet a former lawyer who lives there alone. Meanwhile, Eleanor's trial proceeds. 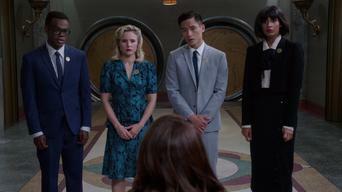 Eleanor, Jason, Chidi and Tahani argue about which two of them should go to the Bad Place. Eleanor has a shocking realization about the Good Place. 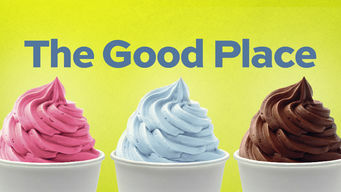 Season 2 of The Good Place has 12 episodes. Because different Netflix countries have different availability for episodes, you'll need to check the episode listing below to see which are available in Italy. 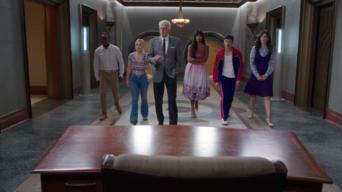 With their memories erased, Eleanor, Chidi, Tahani and Jason start their Good Place experience all over again. Eleanor tries to understand her clue. 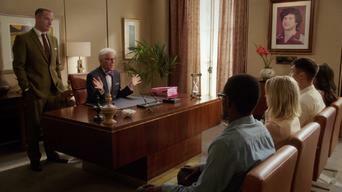 As issues continue to arise, Michael keeps trying to make his elaborate plan for the Good Place work. Eleanor makes a surprising discovery. As Michael tries to put a new plan in place, Eleanor and the gang must make an important decision. Tahani learns a shocking truth about herself. Eleanor tries to help Michael through a crisis. Tahani is determined to throw her most impressive dinner party yet, but things go awry. Chidi is frustrated by Michael's inability to understand the principles of human ethics. Tahani confides in Janet. Michael works with Janet to try to get to the bottom of her recent glitches -- which could cause the entire neighborhood to collapse. Michael turns to Eleanor and Chidi for help with solving a tricky problem created by Janet. Jason surprises Tahani with an unexpected idea. When Michael's boss arrives and makes an announcement, loyalties may be shifting. Eleanor, Chidi, Tahani and Jason must decide on their next move. Michael experiences some unexpected emotions. After a disappointing setback, Eleanor, Chidi, Tahani and Jason open up to each other. In an effort to save themselves, the gang goes on an adventure to a new realm in disguise -- but things don't go as planned. Eleanor, Chidi, Tahani and Jason try to prove they've become better people. Michael must face the consequences of his actions. Janet and Chidi reveal some unexpressed emotions. Michael pushes for a new kind of experiment. Season 3 of The Good Place has 12 episodes. Because different Netflix countries have different availability for episodes, you'll need to check the episode listing below to see which are available in Italy. Back on Earth with their memories wiped, Eleanor and Chidi connect after having near-death experiences. Michael bends the rules of the new experiment. After the arrival of the new subject in the near-death study, the group begins to fall apart. Michael and Janet attempt to keep the gang together. As the group continues to study ethical thought, Michael and Janet, now in Australia, intervene in their lives in numerous ways. After Michael and Janet reveal some truths to Eleanor and the rest of the group, they split up as they try to come to grips with what they've learned. While Michael, Jason and Tahani try to do a good deed in Jacksonville, Janet and Eleanor help Chidi solve a difficult problem. After learning some shocking news, Eleanor goes to Nevada with Michael to investigate. Tahani tries to make amends, with a little help from Chidi. When Eleanor asks Michael to help her recall some of her forgotten afterlife memories, she begins to gain insight into her motivations. Michael and Janet visit someone significant and are surprised by what they learn. Eleanor considers whether to share a secret with Chidi. While Michael and Janet go on a quest to help the four humans, Eleanor and Chidi have a philosophical disagreement about their relationship. Michael hits a wall in his quest to resolve a big problem. As Jason struggles with complicated feelings, Chidi tries to cheer Eleanor up. The humans tag along with Michael to a crucial meeting at the Interdimensional Hole of Pancakes. Janet reconnects with someone from her past. Eleanor steps in to help when Michael panics. Tahani faces a new kind of torment. Eleanor and Chidi come to an unexpected crossroads.